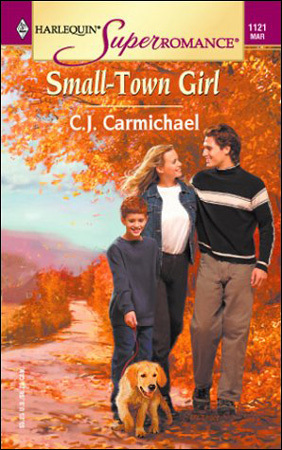 Will a small-town solution work for a big-city girl? After her son is seriously injured in a car accident, Julie Matthew wants two things: for him to regain his health and for her family to return to normal. What a shock when she learns that Russell, her husband, sees normal as a rut. His solution? To move their family from Vancouver back to the tiny rural town in Saskatchewan where he grew up. It’s for the sake of their child, he claims, and a guilty conscience leads Julie, who loves big cities, to go along with his plan. But once in Chatsworth, she begins to suspect that Russell has his own interests at heart. Especially after she sees him and his former girlfriend together at the school where they’ll both be teaching. And that’s not the only surprise her husband has for her! We’ve all suffered personal tragedies, the sort that can make your entire world turn upside down. You see people walking to work, stopping for coffee, mailing a letter and wonder. Why are they bothering? Don’t they realize how unimportant it all is? That’s how I felt as a young teenager, when my brother was seriously injured in a farming accident. With my other brother and two sisters, I sat in front of the TV at my grandma’s house while my parents waited at the hospital. Disney was playing -- it must have been Sunday night. I remember staring at the set and wondering how Bugs Bunny could be up to his usual antics when my brother was so desperately hurt. I felt lost and scared. All I wanted was for life to go back to the way it had been that morning at breakfast, before any of the men had gone out to the fields. 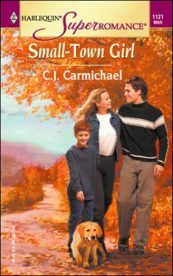 In Small-Town Girl, that’s how Julie Matthew feels too, when her son is gravely injured by a drunk driver. She wishes she could turn the clock back to the moment when her phone rang that morning. She wishes she could change the answer she’d given, change the decision she’d made so quickly. Hell. She forced her mind to go blank. That kind of thinking got her nowhere. And she knew it. The accident was reality. Ben’s injury was reality, too. Now, deal with it, Julie. You’re the mother here. So why couldn't she say the right things, do the right things, to make this family whole again? She’d almost forgotten Russell was still in the room. "Yes?" "This family needs a change." When her husband didn’t answer right away, she kept going. “If you’re suggesting a holiday, I've been wondering if we might squeeze in a week at Saltspring now that Ben's therapy is finished and before school starts. Any chance you could get away?" She knew he was already busy preparing for the fall session. Russell drummed his fingers on the table. Despite his academic position, he had hands that looked like they could actually do something. Tighten a valve, unclog a sink, change the oil in a car. "We always go to Saltspring," he said. Well, of course. They had a cottage on the ocean. Why wouldn't they go to Saltspring? "What kind of holiday did you have in mind?" Oh no. She didn’t like the sound of this. What she needed--what they all needed--was a return to normal. Not change. Especially not permanent change. Watching Russell, she experienced the disorientating sensation of observing a stranger. She had absolutely no idea what he was thinking right now. When was the last time they’d talked--really talked--about something other than Ben? Actually, they didn’t even talk about Ben anymore. She hated seeing the strain on her husband’s face when she admitted her deepest fears. So she did her best to keep them to herself. If Russell had any anxieties of his own, she’d never heard them. Was he protecting her? Or maybe his ingrained optimism protected him from imagining the worst. Nothing got Russell down. Apparently not even the near-death of his son. "I do. I think we need to move." “Russell, this house is perfect--and I’m not talking about the bloody furniture or the color on the walls for heaven’s sake." She considered Russell’s long commute to work. "Do you want to move closer to the University, is that it?" "No. Farther. Much farther." Russell cleared his plate, and Ben's, from the table. Hunching his lean, large-boned frame over the sink, he rinsed them for the dishwasher. Julie sat, waiting for him to tell her exactly what he had in mind. Finally, he returned to the table. Gripping the back of his chair, his chest expanded as he took a fortifying breath. "This may sound like it's coming out of the blue. Actually, I've been tossing around the idea for years now. Ben's accident is only the catalyst." Cold dread pinned Julie to her chair. Years, Russell had said. And yet until this moment, he’d never evenhinted he wasn’t happy living here. "I'd like us to move back to Chatsworth." Her nervous tension snapped on a burst of surprise, then outrage. "You can't be serious." Russell had been born and raised in Chatsworth, Saskatchewan. The small prairie town was lucky to boast five hundred citizens at most. Usually Russell and Ben went by themselves to visit Russell's parents, but Julie had tagged along often enough to know exactly what life in that small town would offer her and her son. "If you and Ben would like to go visit your folks, that would be fine with me." "I'm not talking about a visit." Russell pushed away from the chair and strode to the window. "I know I should have discussed this with you but I've--I've tendered my resignation at the University." "You've quit?" If he'd slapped her on the face, she couldn't have been more stunned. "I think our family needs something different, Julie. Something slow-paced and more meaningful. This city is sucking it out of us." "Sucking what out of us?" He wasn't making any sense. Vancouver was one of the most beautiful cities in the world. Russell had worked hard to become a full professor at UBC. And working at West Coast Homes was a dream come true for her. "The happiness, the spontaneity, the...the joy." This was too much. Getting out of her chair, she gave it a hard shove over the tile floor. She advanced on Russell, her voice angry but very quiet. "How the hell are we supposed to be feeling any joy right now. Our son was in a coma for five days. He almost died." "Well thanks for the news flash. But I've got an update for you. Our son is alive. And did you see his face at the dinner table tonight? He's floundering, Julie. We've got to save him." She covered her mouth. Yes, poor Ben was floundering. Trust the English professor to come up with just the perfect word. "And you think moving to Chatsworth is going to help?" She knew she sounded scornful, but how couldn't she? Russell's idea was preposterous. "I do. And so do my parents." Oh, no. Now he was dragging in Betty and Larry Matthew, two of the very biggest reasons she'd rather move to the Arctic Circle than Chatsworth Saskatchewan. "You've talked to your parents about this?" "Actually, they brought up the idea. Apparently the woman who used to teach grade five at the elementary school is moving--her husband wants to go to law school in Saskatoon. They’ve put their house up for sale. It’s small, but lake-front, and only blocks from the school." Slowly this was sinking in. Russell had quit his job. He'd found a new job, a new house. "You mean this. You really want to move to Chatsworth..."
He put a hand on her shoulder. "I know I’m asking a lot of you, Julie. I realize you love our house and your career... But this way you could afford to stay home for a while." She'd never wanted to stay home. When they’d discussed having Ben they’d both agreed on a nanny for the first five years, then daycare once he started school fulltime. "What about the cottage?" "We can keep the place in Saltspring. Come back for holidays." But this wasn't how their life was supposed to be! They'd planned everything, before they'd married. Worked out every detail. And in less than ten years it had come together for them. They had it all, exactly what they'd wanted. "We need to slow down our lives and enjoy each other more. Family has to be our focus now, Julie." In her stomach, she felt the familiar burning of guilt. If only... Were there any more bitter words in the English language? She wanted her life back, exactly as it had been. But maybe she didn’t deserve that. She knew Russell didn’t blame her for Ben’s accident. Such a thing would never even occur to him. But maybe he should. She did. And Ben? Did he blame her, too? Julie couldn't answer that one. Because Ben suffered from retrograde amnesia--not at all uncommon according to Dr. Assad. Their son couldn't remember anything that had happened the day of the accident. Probably he never would.